Every parent’s wish is to come out of a birth with a healthy baby, and most put their trust into doctors and nurses to make sure it goes smoothly. But for some, their child’s birth is such an awful experience that it has long-lasting effects. Difficult, distressing, damaging or disappointing births can be devastating to mums and their partners, even when they result in a perfectly healthy baby. 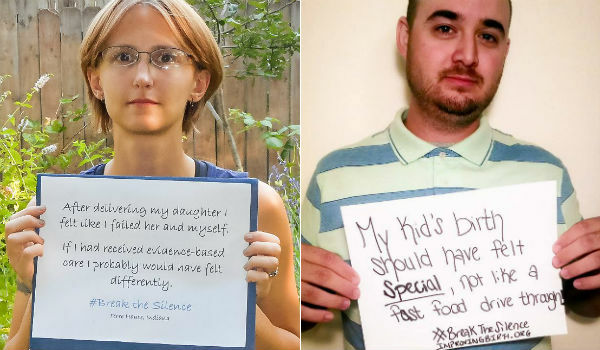 Now a new campaign is urging parents to speak out about traumatic births and poor or inappropriate medical care. 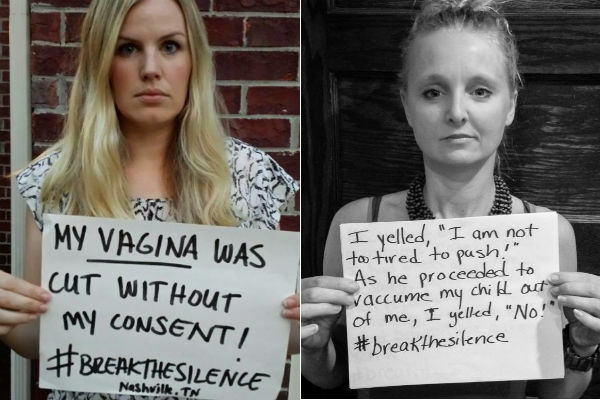 US maternity care advocacy organisation Improving Birth began its #breakthesilence campaign last month, asking people to share their traumatic birth experiences on its Facebook page. More than 140 women – and a couple of dads – have posted pictures to the page. How common are traumatic birth experiences? Improving Birth says up to a third of mums have traumatic births, and one-third of those women develop symptoms of postpartum post-traumatic stress disorder. It says for some women, traumatic birth may mean she or her baby have been in danger. 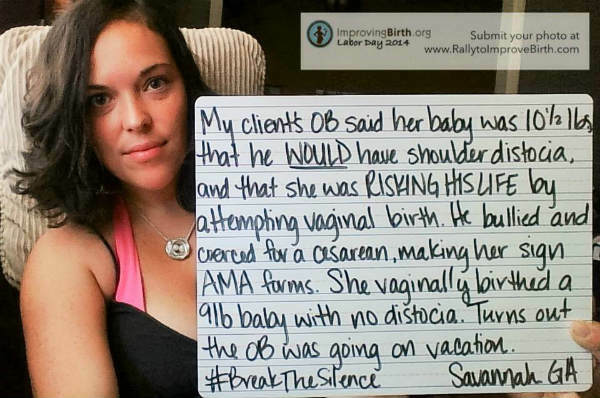 For others, it stems from feeling disrespected, helpless, belittled, not listened to, not well cared-for, or not properly informed about their options during birth. Parents may feel shock, anger, numbness, guilt, shame, disbelief or sadness, experience flashbacks or be unable to stop thinking about the birth. Physical symptoms include anxiety, memory problems, insomnia, aches and pains, racing heartbeat and sexual difficulties. Improving Birth quotes nursing professor Cheryl Tatano Beck as saying it is not unusual for the same birth to be described as routine by medical staff, but traumatic by the mother. “Birth trauma lies in the eye of the beholder,” she tells the site.